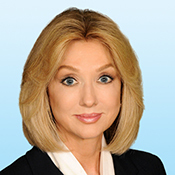 Beth Young is medical office building specialist at Colliers International in Houston. MISSOURI CITY, Texas – Rotunda Medical Properties, LP, an entity of Woodside Health/Crescendo Commercial Realty, made its first purchase in the fast-growing Sugar Land submarket of Houston Texas according to their broker Beth Young, senior vice president of Colliers International’s Houston office. Woodside has other properties under contract and is looking to acquire more, said Ted Barr, principal of the Cleveland, Ohio-based firm. The Rotunda Building is a three-story, 52,000-square-foot medical office/office building located at 5819 Highway 6, Missouri City, Texas, adjacent to the Johnson Development’s Riverstone master-planned community. The building is anchored by a large Capital One branch and is occupied by multiple healthcare tenants including Texas Children’s Pediatric Associates and Fort Bend Pediatric Dentistry. “The combination of a very visible location at a major intersection in a booming southwest Houston submarket plus long-term and expanding tenants makes this landmark building a great addition to Woodside’s Houston portfolio of medical office properties.” said Beth Young, who specializes in medical real estate for Colliers. The Cleveland-based medical office building acquisition and management firm has medical and health-related properties in Arizona, Florida, Michigan, North Carolina, Ohio and Texas.